A food historian, author, television host and a critic, Odette Mascarenhas wears many hats with aplomb. Her stint as the food & beverage manager at the Taj Group of Hotels has helped her define a keen palate towards the nuances of different ingredients used in food preparations. Her passion for the written word is the reason she has nine books to her credit. Odette’s first book, Masci: The Man Behind the Legend, which she wrote on her father-in-law, Miguel Arcanjo Mascarenhas, who was the executive chef at Taj Mahal Mumbai in 1939, won a Special Jury Award at the Gourmand World Cookbook Awards 2008. Her ninth book, The Culinary Heritage of Goa, brings alive the kitchen tradition of Goan households all around the state. She has followed the culinary journey of Goa down the ages, from the times of the Chalukyas, Kadambas, the Vijaynagar Empire, the Muslim Bahamani Sultanate, the Portuguese rulers, to the present times and how it is all reflected in the evolution of Goan Cuisine. The book has won the Best in the World for Historical Recipes and Best Self Published Book in India at the Gourmand World Cookbooks 2015 awards. 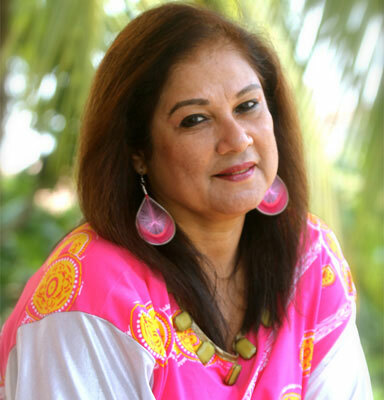 She is the co-founder of the Goan Culinary Club – a non-profit venture which strives to preserve the authenticity of Goan cuisine and researches lost recipes of the past with local chefs and restaurateurs.